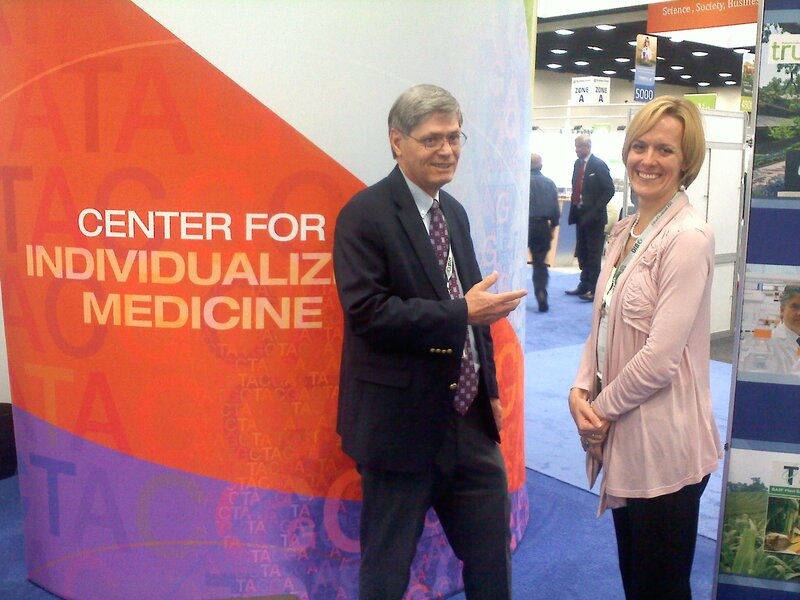 Dr. Eric Wieben, Mayo's Center for Individualized Medicine and Jenn Pettit, State of Minnesota, discuss clinomics at BIO 2014. It was only a decade ago that people were asking us how to pronounce "genomics." I kid you not. Media had questioned the usefulness of the human genome without asking the right questions of the right organizations. Today the application of a the wide-ranging benefits of genomic knowledge is occupying increasing numbers of institutions around the world. Mayo Clinic has long been a pioneer in pharmacogenomics (choosing the right drug, at the right dose, for the right patient) and is now translating genomic tools into everyday use through clinics (check out Mayo's Individualized Medicine Clinic). Add new approaches to biomarker discovery, epigenomics, and advances in understanding the body's microbiome and there's a lot to talk about. Mayo's Gianrico Farrugia, M.D., speaks here at BIO 2014 tomorrow at 10:15 PST as part of a panel entitled (2548:) "Integrating personalized medicine into the health care equation". Worth taking in if you're in attendance. I'm told he is the only clinician on the panel.